The FDA has expanded the use of Pfizer’s Ibrance to include use in breast cancer in men based on a filing that drew heavily on post-marketing and real-world data. 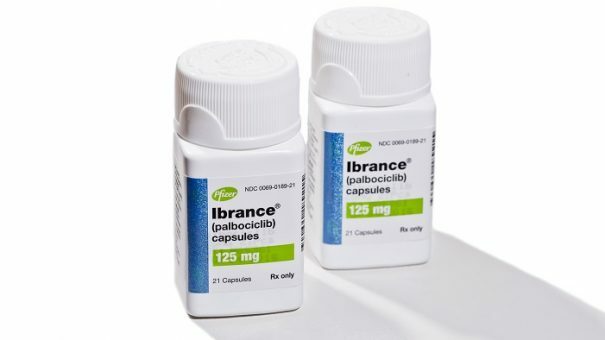 The US regulator approved Ibrance (palbociclib) in combination with an aromatase inhibitor or fulvestrant for first-line treatment of men with hormone receptor-positive, HER2-negative advanced or metastatic breast cancer. Men account for a tiny minority of breast cancer cases, but Pfizer estimates that there are around 2,670 cases each year, causing 500 or so deaths. The small numbers means male breast cancer patients are rarely included in clinical trials, so are reliant on off-label use of drugs tested in women. “Some approved indications for breast cancer treatments do not distinguish by gender, but in certain cases if there is a concern that there may be a difference in efficacy or safety results between men and women, then further data may be necessary to support a labeling indication for male patients,” said the FDA’s Richard Pazdur. The FDA’s ability to use real-world evidence (RWE) to support medicine approvals stems from the 2016 21st Century Cures Act, which led to the publication of guidance documents explaining how drug developers can use electronic health records (EHR), medical claims, product and disease registries, laboratory test results and other data sources to support license applications. The data to support the extended Ibrance approval came from real-world use of Ibrance in male patients from the IQVIA Insurance database, Flatiron Health Breast Cancer database and Pfizer’s own global safety database. The first approval based on RWE with no new clinical trial data came in 2017 and was for a new surgical procedure for heart valve replacements. Since then there have been a few cases of drug registrations that have relied heavily on RWE, including for example BioMarin’s Vimizin (elosulfase alfa) for Morquio syndrome, Novartis’ Lutathera (lutetium Lu 177 dotatate) for rare GEP-NET cancers, and Merck KGaA/Pfizer’s Bavencio (avelumab) for Merkel cell carcinoma. Thanks to the new FDA policy, Ibrance has become the first and only CDK 4/6 inhibitor to be given the nod in the US for first-line treatment of men with HR+, HER2- metastatic breast cancer, according to Pfizer. That puts it ahead of rivals such as Novartis’ Kisqali (ribociclib) and Eli Lilly’s Verzenios (abemaciclib), albeit in a small patient population that likely won’t have a big impact on Ibrance’s $4 billion sales. “We appreciate that our partnership with the FDA has allowed us to take a significant step forward in the use of real-world data to bring medicines to patients who are most in need,” said Pfizer’s head of oncology drug development, Chris Boshoff, in a statement.